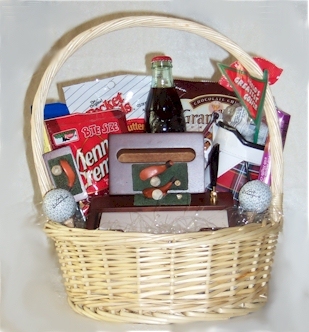 Delight the golfer in your life with this basket of golf goodies. Not just edible but keepsake worthy. The golf theme desk set will make your golfing buddy smile. The chocolate golf balls play well to make this gift a hole-in-one! Depending upon availability some items may be substituted with items of equal or higher value at no extra cost to our customers. Site created by Need To Know All rights reserved.